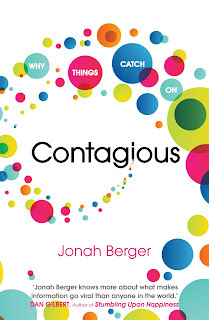 Contagious by Jonah Berger is a brand new book which talks about one thing; what makes some products/ideas go viral? How word of mouth starts and spreads and why some products/ideas get more word of mouth than others. He is a professor of marketing at Wharton. He has researched on this topic for a decade. 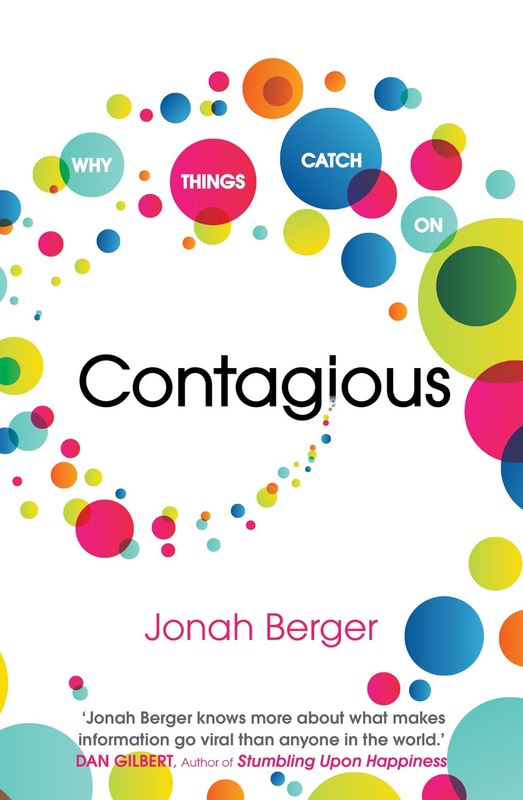 The course he takes is called 'Contagious: How Products, Ideas and Behaviors Catch On'. If you are into marketing, branding or advertising, this book is for you. If you are promoting a cause or running your own business, this book is for you. If you sell a product/service or work at an NGO and want to increase word of mouth, this book is for you. Well that covers almost all of us. What does this book talk about? This book shares a framework which can be applied to any product/service or idea to make it more word of mouth friendly. All the six steps need not be applied in every situation. The more steps you apply, the better off you are. Here is a gist of the framework and its six steps. Social currency: We share things that make us look good. Example: There is a restaurant called 'Please Don't Tell'. It is a secret place which does not even have a sign board. Yet it is doing roaring business, thanks to positive word of mouth. Triggers: Top of mind is tip of tongue. What cues make people talk about your product? How can we make our product/idea come to mind often. Example: Kit Kat associated itself with coffee and came with an idea; "Coffee and Kit Kat" and increased its sales considerably. People started talking more often about the brand. Emotion: When we care, we share. Focus on feelings. Anger, awe, excitement, humour and anxiety. Does talking about your product generate any emotion? Example: Science articles, though not very useful get shared a lot and gets lots of word of mouth. Why? Which emotions increase word of mouth and which ones reduce it? Public: Does your product advertise itself? Can others see your consumers using your product? If not, make the private, public. Example: An NGO raised awareness and funds by encouraging men to grow moustaches. These new moustaches became talking points among their friends and the idea spread. Practical Value: News you can use. Highlight the incredible value in your offer and people will share with others. Example: Why Groupon and other websites which offer deals are a hit? Product A costs $2000 in Store 1. It costs $100 less if you drive 5kms to Store 2. Product B costs $300 in Store 1 and it costs $100 less in Store 2. For which product will you drive 5kms and for which you will not? Stories: Build your Trojan horse. Embed your product in a broader story. When people share the story, the brand will also get mentioned. What this book does not do? This book is not a quick guide to help you make viral online videos. The idea is to understand what makes something viral both online and offline. The best marketing book I have ever read. What 'Made to Stick' is to communication, 'Contagious' is to marketing. Essential read. realize that no brief commentary such as mine can do full justice to the material that Jonah Berger provides in this volume but I hope that I have at least suggested why I think so highly of it. Also, I hope that those who read this commentary will be better prepared to determine whether or not they wish to read the book and, in that event, will have at least some idea of how create contagious products, ideas, and behaviors that attract interest, initiate online connections, and generate offline discussions.